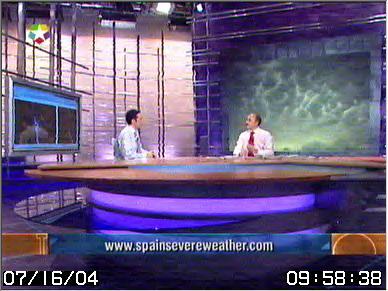 On Monday March 5th, two SSW members (Pedro Serrano and Emilio Rey) appeared on “Básico”, a TV-programme broadcast on La Otra (Telemadrid second channel). It was a very pleasant experience and so we want to thank the whole team for treating us so kindly. As many of you may know, the III Meteopred Edition has just taken place. 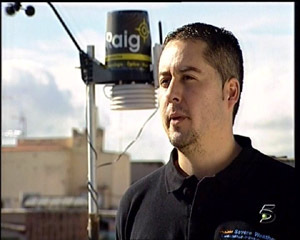 In this new competiton, participants must forecast the highest and lowest temperature as well as the collected rain over 15 consecutive weekends for 6 automatic weather stations from Meteoclimatic, which were awarded by Spain Severe Weather. All SSW members want to congratulate Raúl Cárdenas (Marrero) on winning the III Meteopred Edition. Not only did he receive his prize from our sponsor RAIG, but he also had the honour to appear, last Saturday, November 18th, on the Telecinco news bulletin. Enjoy HERE the full video! 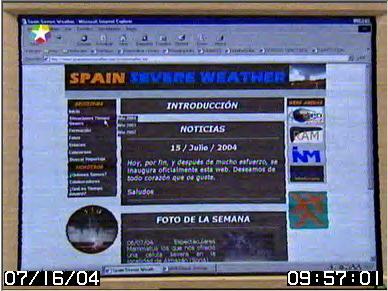 On January 19th the report of the chase some SSW members carried out in November 2005 in Bilbao was broadcasted on La2, the second channel of the Spanish public television. 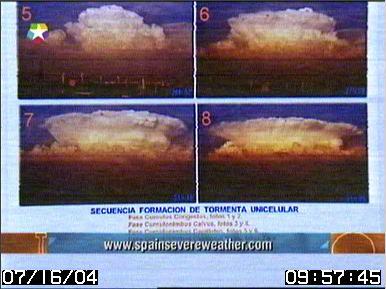 It was the first time that a television team shot an entire report of a storm-chase in Spain. 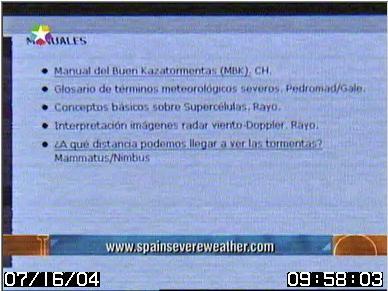 On Friday, July 16th Jacob Petrus, a meteorologist for Telemadrid, made a reference to SSW on “Buenos Días Madrid”. He showed on screen the SSW website and talked about it. 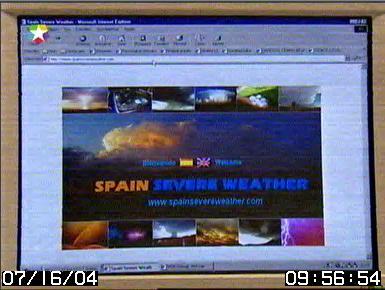 Thanks a lot to Telemadrid and particularly to Jacob Petrus for helping this website to be known through TV and for promoting the severe weather world, which is thought to be surprising, and sometimes even rare, for so many people. Maybe from today on, it is not that much. For those who want to watch the whole video, you can download it here. It’s 38 mb big so be patient! In order to play it properly, you need to have this codec installed.